This entry was posted on August 21, 2018 by chris elliott. Bamboo is a fast growing grass, making it more sustainable than hardwood. A bamboo plant will reach maturity in about 5 years, compared to at least 25 years for a hardwood tree. Bamboo will also self-regenerate itself. This means that when bamboo is harvested, the root is not damaged so that it can continue to grow. This removes the need to replant vast forest areas. The bamboo grows self-sufficiently, without the need for chemicals, pesticides or irrigation systems. 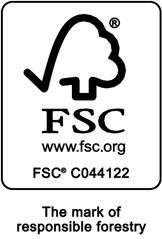 To make sure you are getting a truly eco-friendly bamboo floor, look out for the (Forest Stewardship Council) FSC logo. If a bamboo floor is 100% FSC it means that the whole process from the bamboo forest to the retailer have undergone checks to ensure that they are not contributing to the destruction of the forest or surrounding ecosystem. To find out more, read: What is FSC certified bamboo flooring? There are two main types of bamboo flooring that have different strengths: Solid bamboo and strand woven bamboo. Solid bamboo flooring has a strength similar to that of Oak flooring. Strand woven bamboo flooring is exceptionally tough and durable. It is actually over twice as hard as Oak flooring. 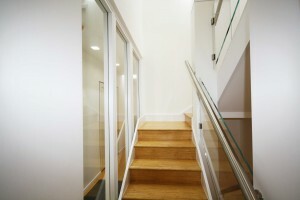 Therefore, making it a great option for busy areas such as hallways or living spaces. Strand woven bamboo flooring is so hardwearing that it can even be recommended for use in commercial areas. Where can I use bamboo flooring? You can use bamboo flooring in most rooms in your home. The only exception to this would be rooms with excess water, like bathrooms. 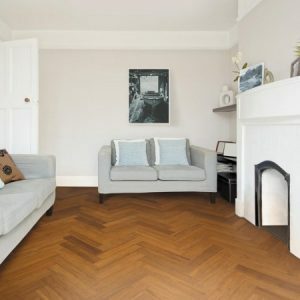 Bamboo flooring is available in a range of different colours and styles so there is sure to be something that will look beautiful in your style of home. Bamboo flooring is very versatile and can be used in any usual rooms, like bedrooms, living spaces, kitchens and studies. It also has dimensional stability, which means that you can use it in rooms where temperatures and humidity change, such as conservatories. Furthermore, we do have a range of bamboo flooring that is compatible with underfloor heating. It has been tested to ensure it allows the transfer of heat through to the surface of the floor, without causing any damage. If you want to use bamboo flooring in a busy area of your home (e.g. hallway or living space), we would recommend strand woven bamboo as it is much more durable. We even have bamboo flooring accessories that make its possible to sue bamboo on your staircase. Simply use the bamboo flooring along with matching bamboo stair nosing to clad your stairs. With bamboo flooring you also have the option of either floating it over an underlay or fixing into position. Have a look at our Fitting Guide for more information. Quick Guide: Why Choose Bamboo Flooring? Natural and beautiful looking floor. Strand woven bamboo is over twice as hard as Oak. Great range of colours, styles and sizes to choose from. You can use it in most rooms in your home. Matching bamboo flooring accessories to add the finishing touches. Can be used on a staircase. Hygienic and great for allergy sufferers. Easy to clean and look after. For more ideas about why to choose bamboo flooring, have a look at The Advantages of Bamboo Floors.